I One again was bitten buy the bug and purchased another printer. 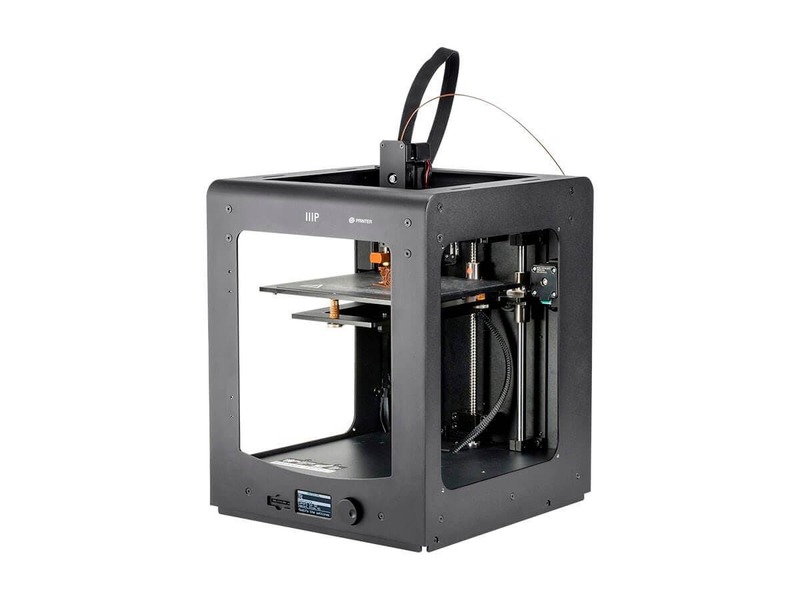 It is a monoprice ultimate maker an open box deal on ebay direct from monoprice. The thing is very solid. it is open source and parts are available at least in theory. What software do you use to run an item like that? Does it come with software? What kind of 3D file formats does it work with? I'm sort of curious about 3D printing, but only in a distant way at the moment. It's a very important manufacturing process, that we will see get more and more attention. Hope you can make a video of it in action and share with us. I run all my printers on repitier host that has cura and sli3r built in. I think it came with software there were 2 sd cards with it the one i checked the files were corrupt. I typical use stl file format But iirc the printer supports a couple others. The printer itself runs g code. the work flow 3d CAD to make your file then slice the file to produce g code then run the code through RH or from a SD card and the firmware on the printer card does the magic. The beauty of 3d printing is most of the software and firmware is open source. I have yet to record a video of any of my printers in action. 3d printing is a bit slow so most folks take stop action photography to speed the process. I have a "Lulzbot mini". Around $1200. It runs 'cura' and yes, it sits on top of Slic3r as well as, I think, Pronterface. I bought it because it runs straight out of the box. Originally, I had bought a kit...I just didn't have the patience to tweak it. But it taught me a lot. I've had very few problems with the Lulzbot. Mainly, I think, because I use the filament/settings from the manufacturer. On the other hand, I'm not trying to do 'perfect' prints. I use it to make tool holders, picture corners, experimentation, the odd stuff. Once in a while a corner has pulled up. What strikes me though...all of this came out of 'open source'. The people who developed Silc3r and Pronterface...amazing engineers. A bunch of people have made money off of them. I have not talked myself into spending that much for a single printer. the most i have spent on one is $500 two of the printer i have are kits they do take some time to get running. The best "out of box" experience was the cheapest I payed $129 for it even that one needed some tweaking.